The chapters in this book vary in the depth, nature and quality of historical research they represent, but all are interesting and worth reading. Some focus on particular methods and others focus on various historical topics. However, I found some of the book’s presentation frustrating. First, the title and content don’t match. It isn’t a handbook; it is neither a manual on how to understand global nursing history nor a comprehensive coverage of the subject. Second, the rationale for the order of contents is unclear. For example, there are only two chapters in part one, about colonial settings and war, while parts two and three also contain chapters on those subjects. My third criticism relates to referencing. With the exception of Vuic and Cole chapters, bibliographies are not provided, and only Cole is divided into primary and secondary sources. It is difficult for the reader to find a particular reference among the notes at a chapter end, or to evaluate the soundness of scholarship based on the use of primary versus secondary source material. 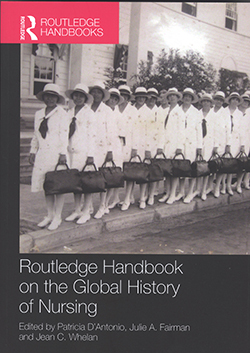 Despite these criticisms, I would recommend this book to readers interested in either historical research or global nursing history – it offers something for both.